The club opened in 1978 under the name of Medford Superior Courts with a primary focus of racquetball with 8 racquetball courts. The original building had a women’s only and men’s only weight room area. In 1981, the weight rooms were no longer separated by gender and dividing walls were taken down to give it a more open feeling. In 1986 the lobby and court 8 was doubles stacked to provide room for new Cybex weight training equipment and the first versions of Stairclimbing machines. In 1988, court 7 was double stacked to make room for more cardio equipment and the aerobic room was moved from upstairs to downstairs. The next major expansion phase started in 1989 when planning was started on the development of a pool, gym and free weight area. This addition would double the size of the building. 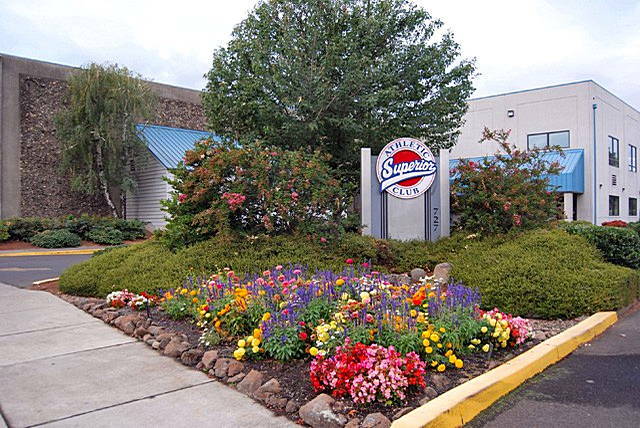 In 1991, the name was changed to Superior Athletic Club right before the opening of the new addition. The final addition to the club was in 1999. This addition is presently the entry way, snack bar, cardio area and upstairs machine room. Superior Athletic Club II located at 2500 Barnett Road opened in September of 1995. This 17,000 square foot fitness only facility compliments the main club with a variety of group exercise programming, Kinesis Personal Training Studio and Gravity/Pilates Studio. Our Eagle Point location opened in February of 2005. This 8600 square foot fitness facility continues to build upon its membership base with the support of the community. The club is locally owned and operated by John & Marilyn Duke and Jim Kusnerik.